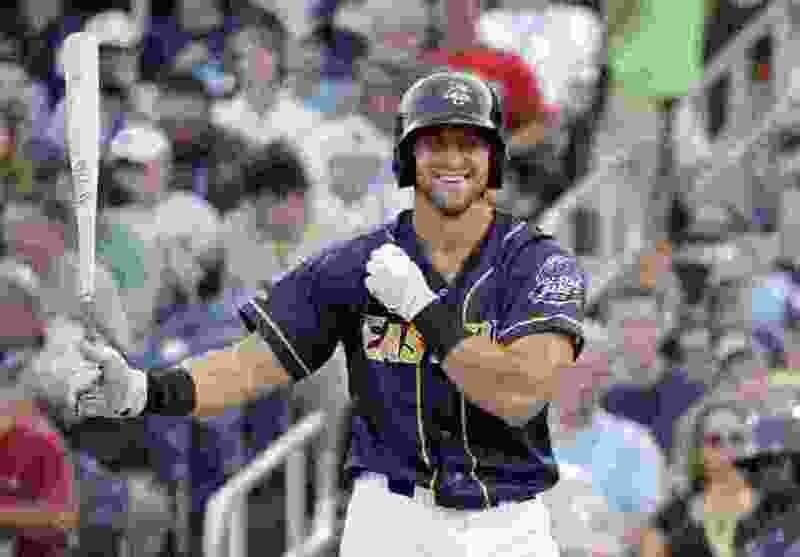 Los Angeles • Tim Tebow, the Heisman Trophy winner and former NFL quarterback now readying for his fourth season as a minor-league baseball player, knows that being a good Christian doesn’t solve everything. He rewrote it multiple times through the years, then made a “concept” trailer hoping it’d attract more people to the project. McEntire said there were multiple times he’d pray, asking God if he should give up or if God wanted him to keep going. “I just felt like this was a calling God gave me in my heart to go tell this story,” he said. Trey Brunson, who met McEntire in college in Dallas, got to know Robby Tebow as a pastor in Florida. Six years ago, Brunson, now an executive producer himself, showed the trailer to Robby, who showed it to Tim. The Tebow brothers then asked to read the full script. It was reading the script, Tim Tebow said, that was his impetus to get into the movie industry. A popular public speaker, he said the power of McEntire’s storytelling impressed on him how limited his appearances were compared with the movies. McEntire had a scholarship to play college football before he tore his ACL and his dream of a football career went away. The mother in the film is based on a friend’s mom who had died from breast cancer. McEntire knew he wanted to marry his wife three days after meeting her — something he immediately told his brothers. Six months later, he bought a ring, but he continued to pray for another six months. “I was like, ‘Lord, if you want me to marry this girl, I’ll do it. But if you don’t want me to marry her, get me out of here,’” he said. Once they got to filming, in fact, “Run the Race” became a collaboration. Director Chris Dowling shares screenwriting credit with McEntire and Jason Baumgardner, and Dowling in turn allowed his actors a lot of flexibility. That spirit is what convinced veteran actor Mario Van Peebles to take the the role of Pastor Baker, who leads the church in the Truetts’ small town. While there is a lot about Christianity in “Run the Race,” Dowling said it addresses experiences many people can relate to — not least the director himself, whose father walked out on his family when Dowling was young. “You don’t want to trick people or fool people that all the sudden life is going to be perfect. Never told it’s going to be perfect or easy — just worth it,” he said. “Run the Race” will be in theaters Friday (Feb. 22).